Brady is a decent man and going to be a wonderful father. His trouble broke my heart. I felt sympathy for him right away. It was easy to connect with Brady due to his circumstances. Losing a loved one and then finding out that your newborn isn’t yours to begin with…is a whole new level of difficulty that no one wants to have. Yet Brady is dealing with them all. Then, the pressure from his wife’s family is giving him even more trouble. But hope and promises lie with his friend, Hope. Hope is a determined woman willing to get what she wants. Yet something keeps pulling her towards Brady and his newborn that she cannot deny. A new future with new possibilities is hard to let go of when the hear is being torn. 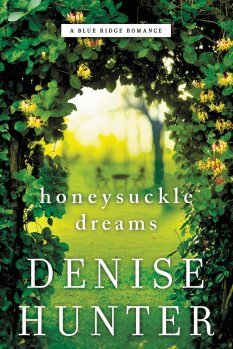 Honeysuckle Dreams is exactly as it sounds. Hope and dreams colliding causing for an adventure of a lifetime. Overall, I was entertained from beginning to end. I would recommend it to readers everywhere.